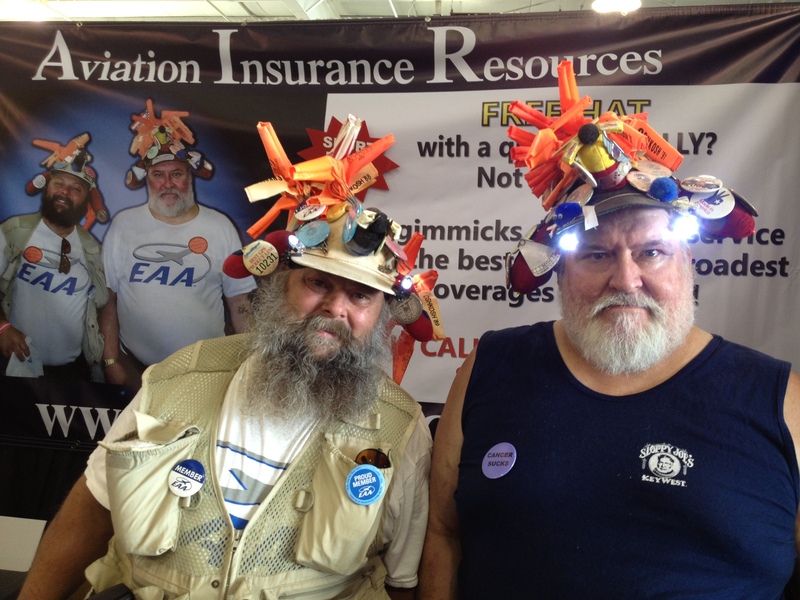 Another year has come and gone and another successful EAA AirVenture is in the books. More than 500,000 attendees and more than 10,000 aircraft from more than 60 countries flocked to Wittman Regional Airport in Oshkosh, Wisconsin to gaze upon the 2,341 show planes, visit the record 821 commercial exhibitors, and enjoy the numerous shows. As one of those exhibitors, we can assure you that we had a great time in Oshkosh! The AIR crew even got to sit down and reminisce with Herbie from Herbie’s Acee Deucee Bar, a historic neighbor bar in Oshkosh now in its 3rd generation of ownership. Acee Deucee has hosted Jimmy Leeward, Danny Clisham and the other Airshow performers for over 30 years. Herbie recalled the first time he met Jimmy. The performer called down at 1 am for some pizza and drinks to be sent up to the Pioneer Inn. Everything else in town was closed, but Herbie hooked Jimmy up with some pizza and beverages. The following year, Jimmy and the other Airshow performers started coming to the Acee Duecee. Herbie would keep the bar open for them every night during EAA AirVenture. And that was just the beginning or AIR’s adventures in Oshkosh. AIR regional manager Jon Shimer had the opportunity to perform with Greg Koontz, who has been performing in airshows since 1974. “I was privileged to perform in the comedy routine with Greg Koontz on Thursday,” recalled Jon. It gets harder and harder to leave Oshkosh every year. Now we have to wait almost an entire year for EAA AirVenture 2014. We can’t wait! To find out more about EAA AirVenture in Oshkosh or Aircraft Insurance, please contact Aviation Insurance Resources by calling 877-247-7767 or visit AIR-PROS.com today to receive your free Aircraft insurance quote! You can also follow us on Facebook, Twitter, LinkedIn, Pinterest, and Google+. AIR offers a wide range of aircraft insurance options for aircraft of all makes and models, from experimental aircraft to standard aircraft, such as Cessna Aircraft, Beechcraft, and Cirrus Aircraft to Robinson Helicopters, Piper Cubs, and Corporate Aircraft.